Documents reveal that it was Bahrain that issued the Interpol Red Notice which led to the detention of refugee footballer Hakeem Al-Araibi. Earlier this week, officials in Thailand said Al-Araibi was arrested and detained at the request of Australia. “We would not have become involved in the issue had we not received the Red Notice alert from the Australian Interpol and the subsequent formal request by Bahrain for his arrest and extradition”, read a statement issued on Wednesday from Thailand’s Foreign Ministry. The accusation resulted in the Australian Embassy in Bangkok issuing a statement where it denied issuing the Interpol Red Notice against Hakeem. “Due to misreporting on the matter, the Australian Government would like to clear up confusion regarding the Interpol Red Notice issued against Hakeem Alaraibi,” the statement read. “Australia never issued a red notice against Mr Alaraibi. “This red notice was issued by Bahrain on 8 November 2018, shortly before Mr Al-Araibi travelled to Bangkok”. “The red notice should never have been issued because of Mr Al-Araibi’s status as a protected refugee. This was a breach of Interpol’s regulations”. “The Australian Government was not initially aware of this, and in line with Interpol procedure notified Thailand of Mr Alaraibi travel”. Now, a document sent to Thaivisa from former Australia and Crystal Palace midfielder Craig Foster, who has been leading the fight to free Mr Al-Araibi and has visited him while he is being held in Bangkok, reveals that the requesting country for the Interpol Red Notice was Bahrain. Meanwhile, a head of a match this weekend, Goal.com reported that Western Sydney Wanderers have started their own unusual protest as a show of support for Mr Al-Araibi. The A-League club removed Thai Airways sponsorship hoardings from around the stadium as the now global movement to free Mr Al-Araibi continues to grow. Footballers Didier Drogba, Giorgio Chiellini, Jamie Vardy and Tim Cahill have all publicly shown support for Mr Al-Araibi. In 2014 Mr Al-Araibi was sentenced in absentia to 10 years in jail for fire bombing a police station. Al-Araibi says he is innocent and that he was tortured in Bahrain because of his political views. Later in 2014 he fled to Australia where he was granted political asylum in 2017. He plays football for Melbourne side Pascoe Vale. 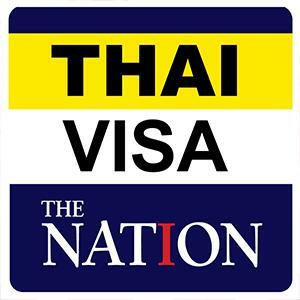 He was detained by Thai authorities in Bangkok on 27 November 2018 when visiting the country for his honeymoon. He has remained in custody in Thailand since his arrest and earlier this week was denied bail.